Josephine is no happier about the news than Noah. Maybe the failed marriage and botched divorce was her fault, but her heart was shattered right alongside his, more than he would ever believe. The sooner they put this marriage behind them, the better for both of their sakes. But when Josephine delivers the final paperwork to his ranch, the two become stranded in his cottage during the worst spring snowstorm in a decade. Being trapped with Josephine is a test of Noah's endurance. He wrestles with resentment and an unmistakable pull to his wife--still beautiful, still brave, and still more intriguing than any woman he's ever known. As they find themselves confronted with each other and their shared past, old wounds surface and tempers flare. But when they are forced out into the storm, they must rely on each other in a way they never have before. Josephine finally opens up about her tragic past, and Noah realizes she's never been loved unconditionally by anyone--including him. Will Noah accept the challenge to pursue Josephine's heart? And can she finally find the courage to trust Noah? Buy the book HERE. books, including A December Bride andThe Convenient Groom, which have been adapted into original Hallmark Channel movies. She has won The Holt Medallion Award, The Reader's Choice Award, The Carol Award, The Foreword Book of the Year Award, and is a RITA finalist. 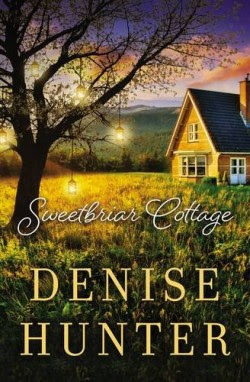 When Denise isn't orchestrating love lives on the written page, she enjoys traveling with her family, drinking green tea, and playing drums. Denise makes her home in Indiana where she and her husband are rapidly approaching an empty nest. You can learn more about Denise through her website DeniseHunterBooks.com.